Prof. Dr. Lecturer. He was born in Tokat Erbaa. Malatya Akçadağ Keller is registered to the village population. Since 1959 and lives in Ankara. In 1968, he graduated from Middle East Technical University, Faculty of Economics and Administrative Sciences Department of Statistics. Master's Degree in the same faculty from the Department of Political Science and Public Administration; Doctoral Degree from Ankara University Faculty of Political Science received from the Department of Labour Economics and Industrial Relations. 1968-1972 years in the Middle East Technical University, Department of Economics and Statistics, he worked as a faculty member. Two March 12th during the military intervention had been in military custody in Ankara. During 1981-1988, he worked as a manager in the construction industry. During 1988-2001 he was an adviser in the trade unions. In 2001, Ankara University Faculty of Political Science of Labour Economics and Industrial Relations returned to the faculty member in the Department. There are many books and articles abroad and published in the country. Work took place in their lives, and international and national research projects related to social policy. Workers and public servants' unions, the Chamber depending on the rooms, the Turkish Medical Association is to contribute to the Ugur Mumcu Foundation and the work of various civil society organizations. Turkish Association of Social Sciences, Journal of Homeland Legislation Advisory Committee, Turkish Medical Association for Science Education Board Member, Local Government Research, Assistance and Training Association, is a founding member of the Scientific Committee of the International Network on Migration and Development. He is fluent in English, French moderate know. She is married and has two children. 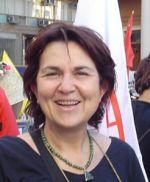 CHP Party Assembly in May and December 2010 and in 2012 was elected to the membership of the Assembly. Science and Culture Management Platform is a member of the CHP.